When your business’s HVAC system breaks down, it usually happens during periods of peak demand — like in the middle of a sweltering or frigid South Central PA day! 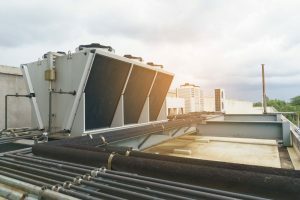 Depending on the nature of your business, an HVAC malfunction could disrupt your normal operations or make your customers think twice about returning to your establishment. 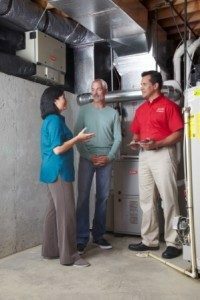 Timely, routine maintenance is essential for keeping your HVAC equipment in peak operating condition throughout the year and minimizing the risk of a costly breakdown. If you own a business in Carlisle, PA or elsewhere in the South Central PA region, you can trust Tuckey Mechanical Services for all your commercial HVAC preventive maintenance needs. We’ll work with you to develop and implement an affordable custom preventive maintenance program that will prolong the lifespan of your equipment and give you peace of mind. What Do We Mean by “Custom” Preventive Maintenance? At Tuckey Mechanical Services, we recognize that no two companies have the same HVAC maintenance needs or HVAC systems in place. We’ll help you design a tailored service plan that’s right for your business based on factors such as usage patterns, type of equipment (standard or geothermal heat pump, gas hot water boiler, gas hot air furnace, air conditioner, etc.) and, of course, your budgetary parameters. Nothing is too “out of the box” for us — we’re committed to providing you with the best possible service at the right price. 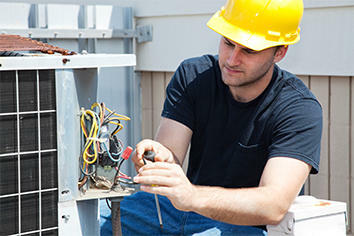 Our technicians are adept at working with all types of HVAC equipment. They know how to perform the right troubleshooting steps to identify potential issues in their early stages and take the appropriate corrective action. Don’t take chances with your business’s HVAC equipment. Contact the pros at Tuckey Mechanical Services to learn more about our commercial HVAC preventive maintenance programs in Carlisle, PA and beyond. "David W. performed 4 Winter Preventative Maintenances on our 4 properties, successfully completing them in one day. The single most impressive part was that the Technician's Report forms were the most comprehensive that I have ever seen, and even more, that they were grammatical, legible, and just about perfect in every way. We have been working with Tuckey Mechanical since 2004, and my message to them is "Don't ever let David W. go, or I might have to go with him!"."